Multitasking is the magic word in today’s offices. In the times of digital transformation we have to be fast, forward-looking, need to fulfil several tasks at the same time and have to have data, texts, photos and videos constantly present. This is where modern monitors come into play. They offer ideal solutions for all of those demands. In short: a modern monitor should simplify multitasking and increase productivity. 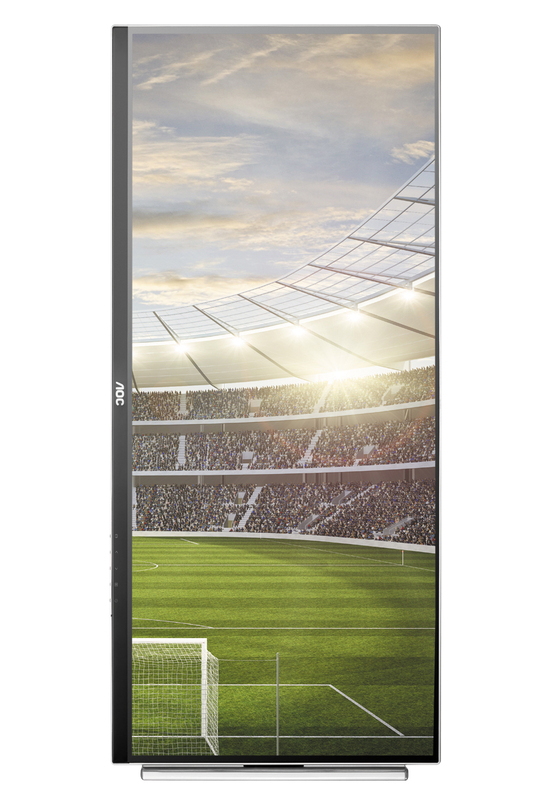 Most suitable for advanced users: a widescreen and high-resolution display with a broad range of connections. But there are more ways to optimise monitor usage. For project work and flexibility, users have to be aware of many developments at the same time. The solution: displaying several applications simultaneously. Thereby an UltraWide monitor is the first choice. With a 21:9 widescreen, the days of endless scrolling or switching between windows are gone. Several new models also come with a curved display for a more complete viewing experience. UltraWide screens – like the curved AOC C3583FQ or the AOC U3477PQU – enable the user to place almost four A4 pages alongside one another, or to get a quick overview over 16 video streams, e.g. from surveillance cameras, displayed side-by-side without distortion. Users can also use an e-mail client or messenger on one half of the desktop and their office or editing software on the other half. With sharp QHD or Full HD resolutions, they are still able to see the smallest details – even with more than one or two open windows on the same screen. Thus, integrated Multiview options like picture in picture or picture by picture are the perfect choice to save space and time. In addition, hardware multitasking can help the user to fulfil high productivity demands, too. Connecting several peripheral devices directly with the monitor saves time and space – and users do not have to crawl underneath the table or deal with a tangle of cables. 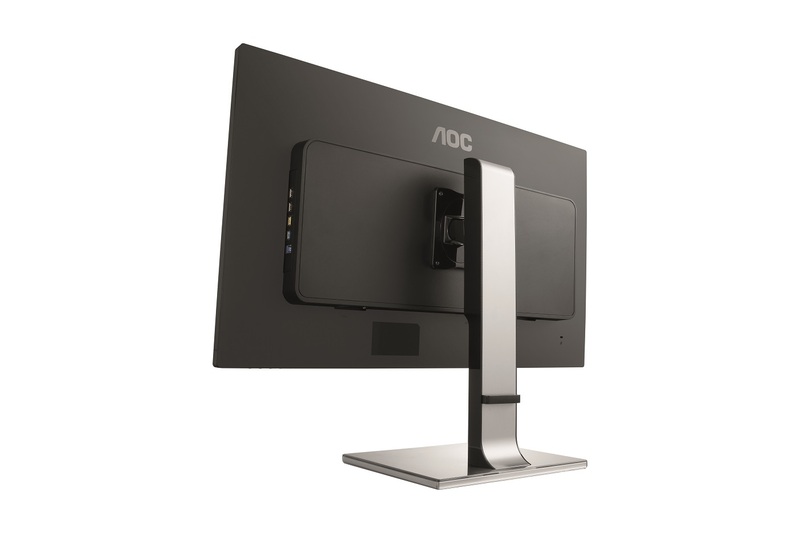 Monitors like the AOC U3277PQU and Q3277PQU offer a breadth of options including DisplayPort, HDMI (MHL supported for mirroring and charging mobile phones or tablets), DVI, VGA and a USB 3.0 hub for data transfer or charging of USB devices. The U3277PQU even boasts an advanced HDMI 2.0 connector for smooth UHD video playback with up to 60 frames per second. The benefits are clear: Users only need one monitor for all kinds of connections. They can connect the display with a camera or TV receiver, upload data from a tablet to the PC and at the same time recharge a smartphone via MHL. Users who would like to bring multitasking to the next level can also combine both: e.g. 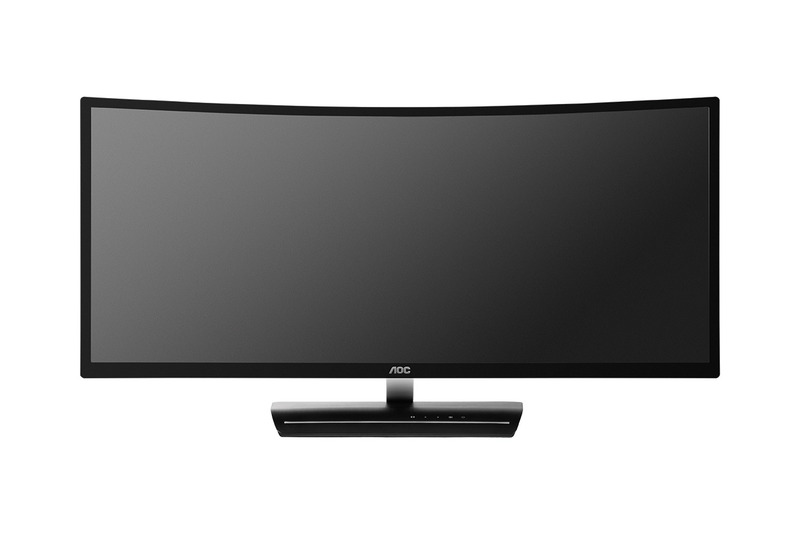 a widescreen monitor with several peripheral devices or even one, two or more additional monitors. There are no limits to today’s multitasking set-ups. As a result, especially hard-core gamers can experience the ultimate gaming experience that surrounds the whole field of vision. And users who work on extremely complex tasks can build their individual set-up to have all crucial aspects of their work at a glance. On this occasion, even ergonomic options like the pivot mode can come into action to optimise the individual construction. But multitasking is not just for the ambitious: Even casual users can reduce the effort of the easiest all-day work tasks by using simple multitasking options of their monitor. And they will never go back once they have tried it. Because when it comes to multitasking and increased productivity, the saying “less is sometimes more” is not necessarily true.